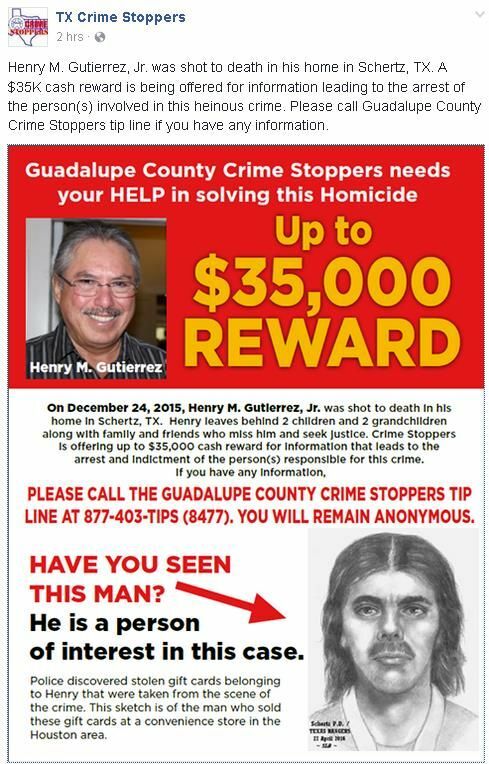 GUADALUPE COUNTY, Texas – Family members of Henry Gutierrez are desperate for answers as the months since he was found shot to death drag on. 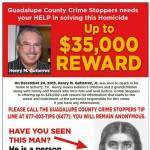 To help the family get the peace of mind they deserve, the Guadalupe County Crime Stoppers, with the help of anonymous donors is offering reward for information that leads to an arrest and indictment in this case. 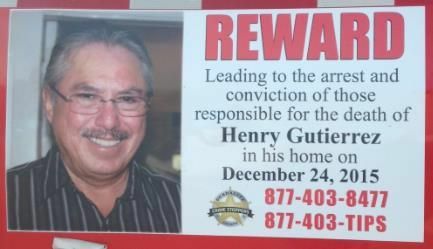 If you or someone you know has information that can help the Gutierrez family obtain justice for their loved one, please submit a tip immediately to the GCCS’s tip line 877-403-TIPS. You can also submit a tip online at www.gccsTIPS.com. or P3 Tips App. Remember ALL tips are strictly anonymous.